Phone support is available at all times that the client laboratory is in routine operation. 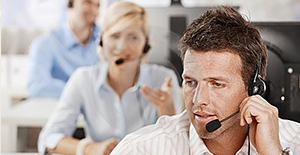 Phone call for support is answered live or by call-back within 30 minutes of the call. The support request is handled by North America based personnel. Support is provided via remote computer access into the LTP system. Support resolution is provided during the initial call-back, if possible. If resolution is not achieved during the initial call-back then follow-up call-backs are made until resolution is achieved. E-mail support is available at all times that the client laboratory is in routine operation. Support requests made by e-mail are answered by e-mail within 30 minutes of the initial e-mail if support can by provided via e-mail, or by telephone (if phone number is provided by client within the e–mail) within 30 minutes of the initial e-mail if the request requires live phone response. Support resolution will be provided during the initial e-mail or call-back, if possible. If resolution is not achieved via the initial e-mail response or during the initial call-back then follow-up e-mails are sent or call-backs are made until resolution is achieved. Proper performance of LTP software application(s). Requests for information about LTP software applications not related to functional concerns. Training on LTP software applications. Other software, such as anti-virus software or computer operating system software used in conjuction with the LTP system. Peripheral hardware such as connecting cables, adapters, and telnet conversion hardware.